4. 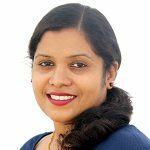 What Can You Do To Treat Poor Appetite In Babies? 5. How You Can Increase Your Baby’s Appetite? Feeding your little one is a tough task. What food to give and how much to give can keep you on your toes all the day. Unlike adults, babies do not follow a routine food choice. Their likes and dislikes depend on their innate behaviour. A child’s appetite may change from day to day, month to month and also depends on their growth spurts. The general rule of thumb is – your baby will eat when she is hungry. But it could be scary if your baby is not eating enough, which it seems like baby has loss of appetite. Read on to know how you can identify the problem and resolve it. Loss of appetite can be a concern if you are not aware of its causes. Therefore, it is very important to know why your little one is experiencing loss of appetite. What Are The Causes For Your Baby’s Loss Of Appetite? Your baby’s growth rate will be high until six months after which it slows from six to 12 months, and comes down further from 12 to 18 months. So it is natural for your 16-month-old to eat lesser than what she used to eat around 12 months. She may not require so many calories. Temporary loss of appetite is common for teething babies, and usually gets resolved in two weeks. Your baby may eat less due to the pain caused by the teeth tearing through the gums. The discomfort increases when they eat food or feed from a bottle. Teething even causes inflamed gums, leading to ultra sensitive teeth. Even the slightest touch can cause pain. If the baby refuses to eat because of the pain, it may affect her health. Make sure she drinks lots of fluids and try tempting her with some treats. A few chilled fruits and ice lollies may be suitable while teething. 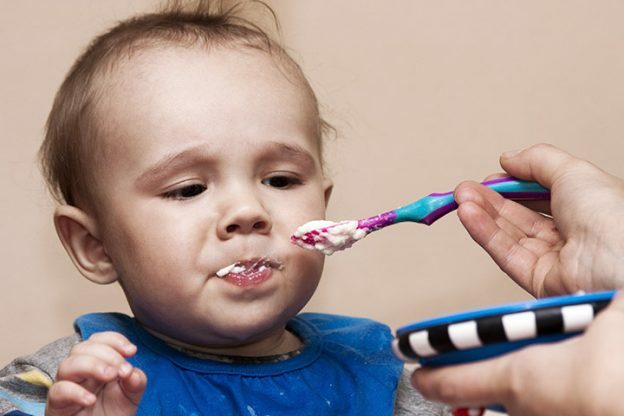 If your baby is old enough for solid foods, you can feed her yogurt and applesauce as they are easier to eat. If the baby does not gain normal appetite after two weeks, then you should consult a doctor. A sore throat caused by a strep throat or a viral infection can also be one of the reasons for loss of appetite in your baby. It can cause difficulty while swallowing. If a sore throat accompanies fever and swollen glands, you should immediately seek a healthcare provider’s help to get rid of the infection and increase your baby’s appetite. Dress your baby in a light cotton clothing and a cloth nappy that will not stick to her body. Keep her in a breezy, shady and cool area. Give her a bath with lukewarm water. Cool your baby instantly using a tidy wet cloth. Your baby may feel regular meals heavy and uncomfortable because of the heat. Offer wholesome foods which may be lighter on her tummy. During the hot weather, your baby will not use energy so as to maintain her body temperature (unlike in winter, your baby’s body may burn calories to stay warm in the cold). Therefore, she may not eat properly so as to replenish her body. Keep her active by allowing her to play indoor games and activities. It may work on the appetite. If these tips don’t work and you feel your baby is still overheating, you should take immediate steps. Make sure you keep her hydrated properly and keep her cool always. If symptoms does not seem to improve, take her to a doctor for help. Some foods take a longer time to digest and therefore your baby’s tummy may be full, and she will refuse to eat even after a significant break. Whole grains are one such food which make your baby’s tummy full because of their rich fiber content. They could cause loss of appetite in babies. Till now your baby is only on milk and if you suddenly introduce solid foods, her body would take time to adjust. The process of digestion would take a longer time, and she may eat lesser. To reduce the above chances, you may introduce new foods in little quantities until you find your child receptive. Another common cause for low appetite is worm infestation. Your little one may be at greater risk of intestinal parasites and worms. It can cause vomiting, diarrhea and appetite loss. It is very important to seek an immediate medical help if your child is affected with worms. If your baby is suffering from ill health, she will be reluctant to take food and can cause low appetite. If she has a fever, cold, cough or stomach upset, she loses appetite. She can gain that back after recovering from the illness. Bacterial and viral infections can also make your baby reluctant to food. Conditions such as ear infections, bronchitis and flu can cause rapid heartbeat and pain, making it difficult for your little one to eat. Seek an immediate medical assistance in this case. Also make sure, she is given vaccinations against all the common infections. 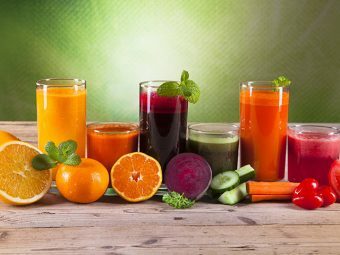 Excess intake of fluids such as juices and water can be another reason for low appetite in babies. Once the tiny stomach is filled with formula or mother’s milk, they will not require any additional water. Giving excess water will also hinder her from absorbing nutrients in breast milk or formula milk. It makes him feel full, therefore, makes her resistant to foods and lowers the appetite. Intolerance to some foods such as eggs, milk, soy and peanuts can cause symptoms like itching, bloating, diarrhea and mainly low appetite. You should identify the foods your baby is allergic to and thus, avoid them. Some vaccinations would cause the temperature to shoot in babies. Temperature along with the pain of the prick can make your baby less hungry. If your baby suffers from constipation where bowel movements become difficult, she may not be hungry. You should ensure that she has proper bowel movements. If your baby has low iron content or is anemic, she may suffer from loss of appetite. Generally babies with anemia will be weak and exhausted most of the times. It is good to take her to a paediatrician as it can affect her development. 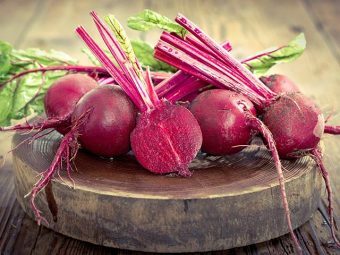 Also offer foods which are rich in iron content. It can also be one of the causes of appetite loss in babies. They would play for long time making them too tired to eat. Regulate your baby’s play time to avoid tiredness. 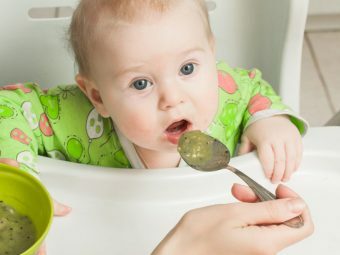 In spite of taking immediate attention and care, if you don’t observe any improvement in the appetite of your baby, you may have to check with a doctor. Examine the food habits of your baby carefully for a few days. Do not be worried if she does not eat for two days. But if it continues for one week or more then take her to a doctor. If appetite loss accompanies a rash, fever or change in stool color, check immediately with a physician. If you note that your baby’s appetite is low, and her weight is reducing, check with a pediatrician immediately. What Can You Do To Treat Poor Appetite In Babies? When your child is consuming lesser than usual, notice her habits carefully. In most of the cases, she will restart eating on her own. Offer age-appropriate foods to your baby. Give her healthy diet and also, schedule proper gap as it helps greatly in keeping appetite on track. 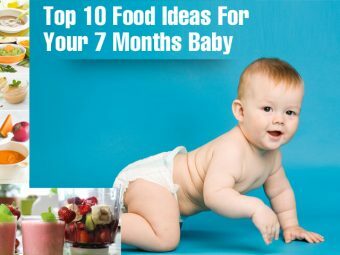 How You Can Increase Your Baby’s Appetite? 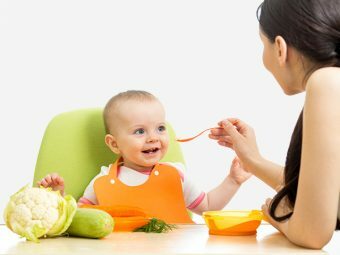 These are some ways you can encourage your baby to eat and maintain appetite. Zinc helps to produce hydrochloric acid which aids proper digestion. Low amounts of zinc in your baby’s body system can cause low appetite. You can increase zinc content by giving chicken, pumpkin seeds and cashew nuts to your little one to improve her appetite. Babies can take three to four hours to digest their meals. If you do not maintain the gap and give her food in quick succession, she may not eat properly. Ajwain water can be given to six to eight months babies. Soak a few seeds in water and leave for a few hours. For those who have started eating solid foods, you can mix ajwain seeds in their food. Also known as hing, it is an anti-flatulent. Add a pinch to your baby’s food or buttermilk, or any vegetable curry. It helps to improve your baby’s appetite. You can start giving basil to your baby when she is eight months old. It increases the digestion ability and improves appetite. It contains hydroxychalcone, which can boost appetite. You can give this to your baby when she is around seven to eight months. Add cinnamon powder to any mash, porridge or smoothies, dessert, bread and cakes. Ginger is another effective appetite booster. Crush some and add the juice with some salt and pepper to buttermilk and give it to your baby. Mint initially suppresses appetite but after some time causes severe hunger. You can add little of it to your baby’s milk or any meal. Peanuts contain high zinc amounts, which aid in proper digestion and improve appetite. But some babies can be allergic to peanuts. So you should use them cautiously. You can give a few roasted peanuts, apply peanut butter spread on her bread or add to milkshakes. Did your baby suffer from an appetite slump any time? What did you do to improve the appetite? Share your experience with other moms here. Why Does Your Newborn Have An Outie Belly Button?